Belfast Photo Festival including Replica Delorean! 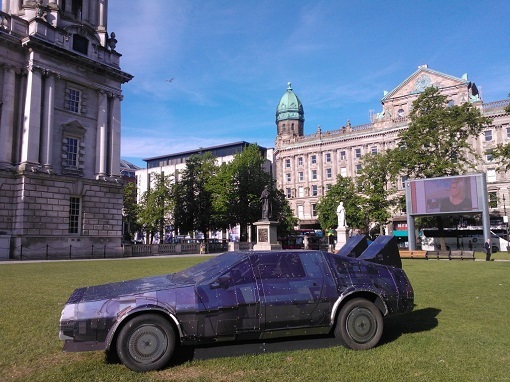 This month is the Belfast Photo Festival and we were lucky enough at Replify to have a replica of a Delorean parked in the grounds of Belfast City Hall right outside our office window. This replica is covered in photographs of parts of the Delorean.